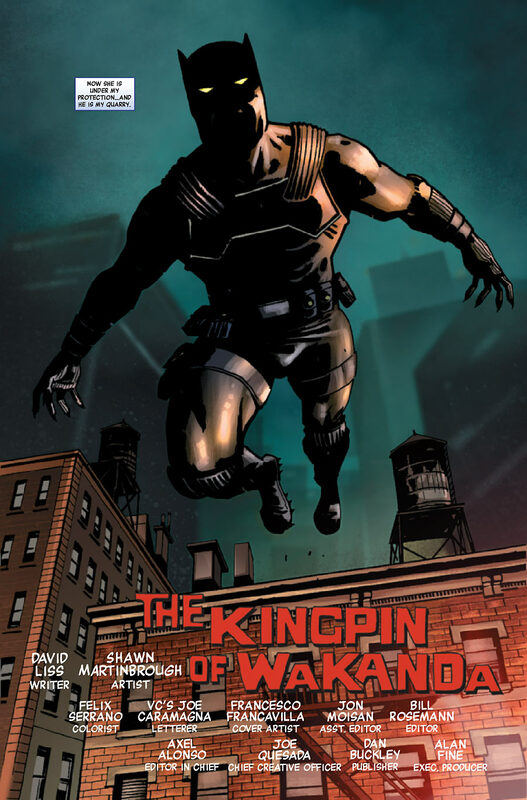 T’challa is made aware of a target on members of the wakandan National Bank’s board of directors. There is one survivor who he decides he must protect at all costs. The Hand now under Kingpin’s control plan to put there master’s plan into full effect. At the Hospital Lady Bullseye and the hand clash with T’challa as he tries to save the woman. Just as things are looking up Typhoid Mary attacks and the woman is captured by Lady Bullseye. Surrounded by flame T’challa is cornered and outnumbered. 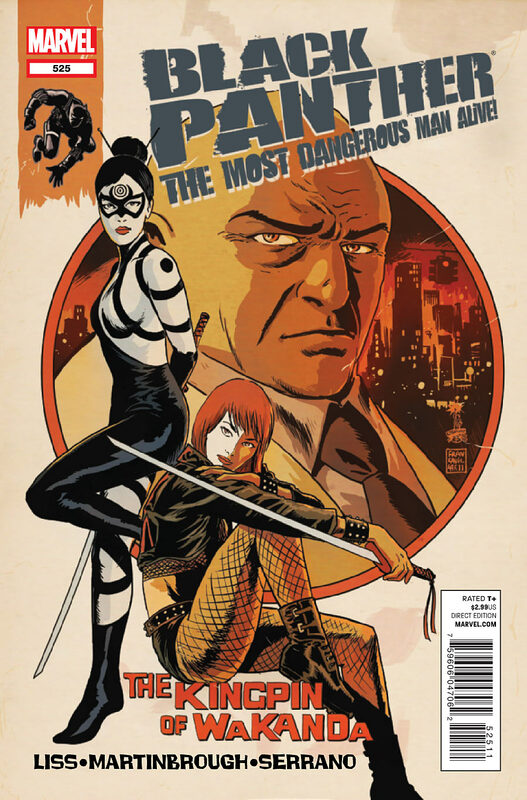 Cover- Nice washed out lookin cover gives the impression of an old newspaper, Kingpin in the background while his two lovely assassins in the foreground. Story- What does Kingpin have planned? Why is he killing the Wakandan Bank’s board of directors? Can T’challa beat both Typhoid Mary and Lady Bullseye? Scratch that last question 🙂 but there is enough mystery and I’m hopeful that David Liss’s swan song for the Black Panther can keep up this tone and be a memorable clash of two of comics’ legendary characters. Action- Thankfully this issue has a fair bit of action not stifled by stiff visuals; as a result we get a nice chase scene which works! Gritty- Lady Bullseye had the perfect name she’s just as cold and heartless as Bullseye himself. The bodies all over the hospital added to the dark and sombre tone of this Noir-esque book which has been lacking. Track Record- I want to be excited but can’t get there because David Liss’s execution always falls below expectations.